A study with the purpose of providing user experience that is consistent with various devices was conducted at a global electronics company that manufactures a variety of digital electronic products. Products selected as study subjects were handheld devices that can receive DMB (Digital Media Broadcasting), play multimedia files, and create files such as photos. The study was conducted by a task force team with User Interface practitioners of managing divisions of each product. 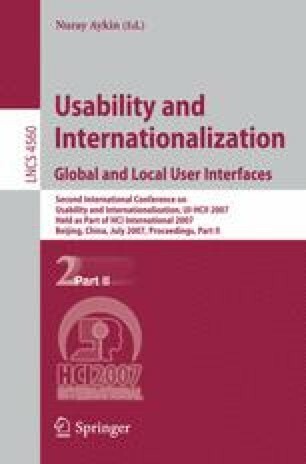 In this study, methods and processes that were attempted in order to establish consistency principles of user experiences, enhancing the various characteristics of each product, are described. The results and practical experiences obtained through the processes are introduced.